Casino Classic made its online debut ten years ago in 2002. It is a part of one of the major online gambling groups that has tens of casinos under its umbrella, Casino Rewards Group. All of the casinos of this group including Casino Classic are licensed by the govt. of Kahnawake and as a result of legal problems it does not accept registrations by players who are residents of the United States of America. Casino Classic has to offer all that one would want in a casino. There are the traditional and most modern of gaming options and fantastic rewards that one just can’t turn their backs on. Sign up and claim your bonus. Play casino games and slots with an extra £€$500 in your account at Casino Classic! The casino is powered by the absolute biggest name in the industry of software development, Microgaming. This ensures players a visually rich gambling experience accompanied by amazing audio effects. The casino is also the holder of the eCOGRA seal. This ensures players that they are gambling in a very safe and a secure environment and most important of all, a fair environment. Casino Classic has it all as it offers players around the clock client support service and the casino also goes that extra mile in order to reward players by offering them unmatched phenomenal promotions and amazing bonuses alongside a very rewarding loyalty program. Since the casino offers its services to a long list of international patrons, it supports various languages to cater to their needs. These languages are English, Swedish, Italian, Japanese, Portuguese, Greek, Spanish, Finish and Dutch among other languages. Casino Classic offers players a whooping collection of more than three-hundred and fifty Microgaming powered games. Players can access these games and preview them through a very friendly preview windows right on the homepage of the casino. This allows players to have a glimpse of the available games before engaging them. Players can expect an unparalleled selection of slot machines. This selection includes Tomb Raider which will allow players to join Lara Croft during her expeditions. It is a five reel and fifteen payline video slot. It is also the first video slot by Microgaming that allows players to enter the bonus feature through free spins. Other slot titles include Lord of the Rings, Joy of Six, Untamed Wolf Pack and classical 3 reel slots. Most importantly of all Casino Classic provides players with progressive slots like Mega Moolah and Major Millions. Table games’ players can expect a number of classic and modern table games at the online casino. This includes European Roulette, French Roulette and American Roulette alongside Sic Bo, Baccarat and Craps. Alongside slots and table games, the casino also offers an outstanding collection of card games. This collection includes different versions of Blackjack including single hand and multi hand games. It also offers Pontoon, Red Dog, 3 Card Poker and Casino Hold’Em. Video poker fans will also find something to their liking as Casino Classic offers them Deuces Wild, Aces or Faces, and Jacks or Better among other video poker games. The casino welcomes players with a no deposit and a no risk welcome bonus by giving players five hundred credits for free. This free credit can be wagered with on real money games for sixty minutes. Players will be eligible to keep any winnings earned in this period of time. Players can also enjoy the amazing perks of the amazing Loyalty Program that is on offer at Casino Classic. The amazing thing about this program that players can earn points by playing at any casino that belongs to Casino Rewards Group. The more wagers placed, the more points that players earn. Since Microgaming is the software developer behind Casino Classic, players can expect very user friendly and features-filled software. The software is designed with amazing graphics with colossal colors and authentic sound effects. Players can choose to play on the website by utilizing the flash version of the casino or they can choose to tap into the maximum potential of the casino by downloading small software and download the games to their computer. The two versions are provided by Microgaming, so whether players choose the download or the flash version of the casino, they will enjoy a graphically rich gambling experience with amazing in game and software features. Some of the in-game and software features are Auto Spin, Moderated Chat, Game History Log, Odds Calculator, Personal Avatar and AutoMark Cards. 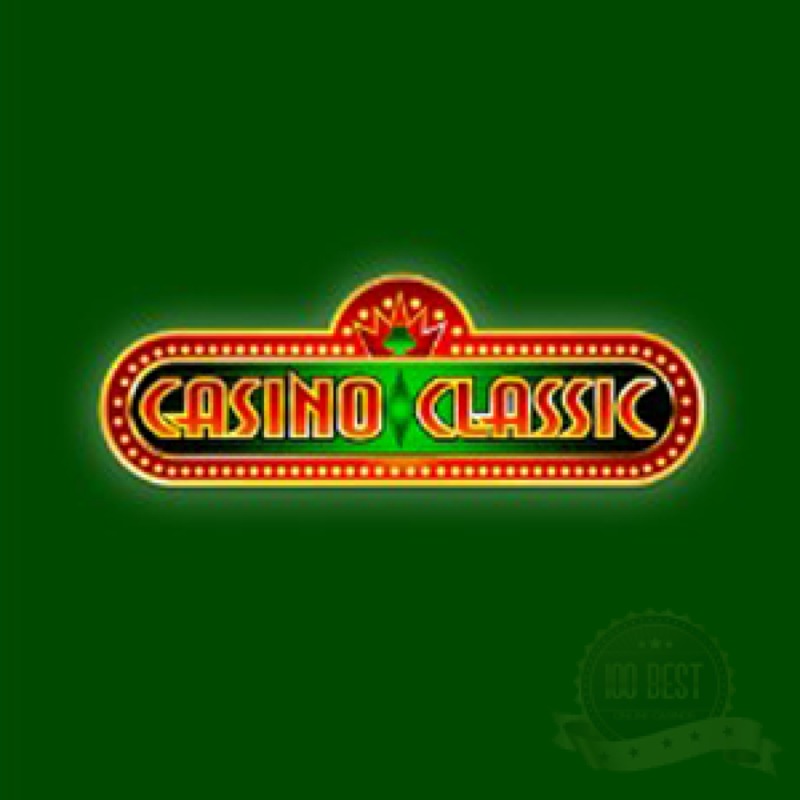 Casino Classic offer players various payment arrangements to choose from in order to manage their withdrawals and deposits. The list of accepted payment methods include Visa, InstaBet, NETeller, Skrill, Click2Pay, ClickandBuy, EcoCard, UseMyBank, Wire Transfer, EziPay, UKash and PaySafeCard to mention a few. All of the money transactions from and to Casino Classic are 100% secured by the most advanced modern technologies. Casino Classic offers a classic experience that you will enjoy, as I have. It has a great array of slot machines and table games, and plenty of safe and secure banking options!